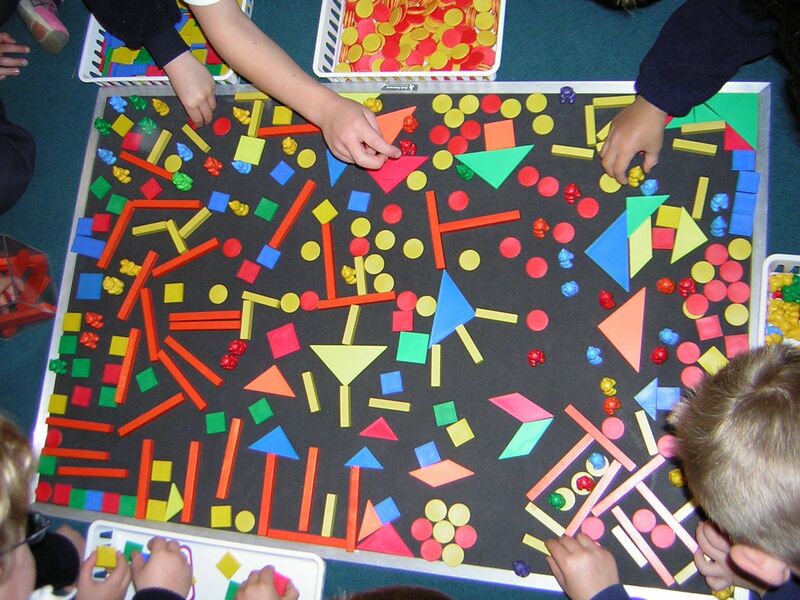 What IF... children could DO what they wanted with whatever materials they chose? 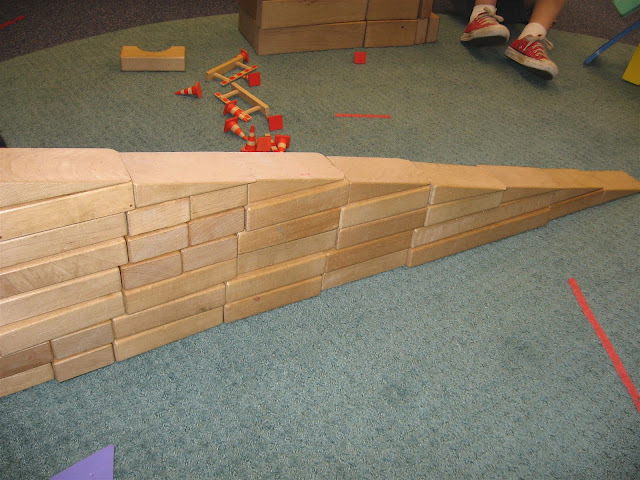 What IF...children could THINK of an idea then try it out with whatever materials they chose? 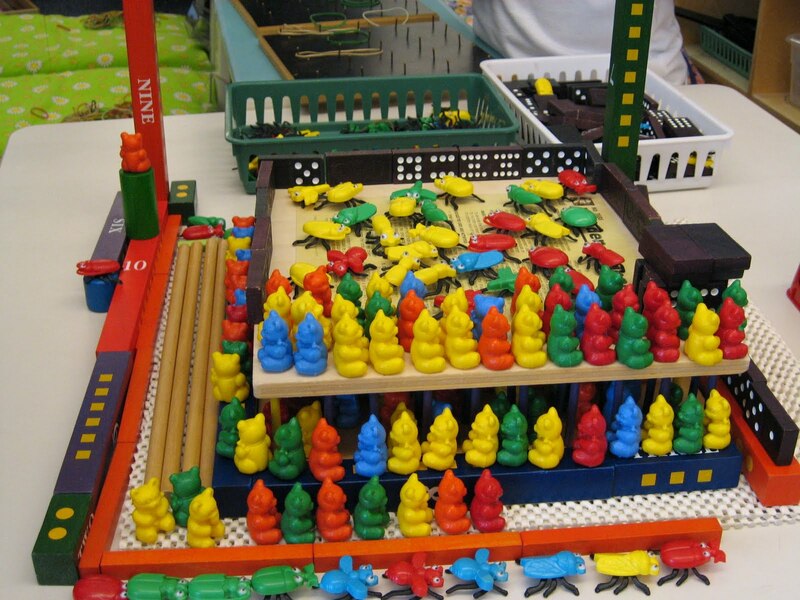 What IF... children could INVENT anything they wanted with whatever materials they chose? Mix mix mix all the colors on the palette...creating just the color she wants, needs, wants, needs. What IF...teachers loved teaching BECAUSE the children invented and thought and created in their own ways? The joy is endless. The joy is endless. The joy is endless. 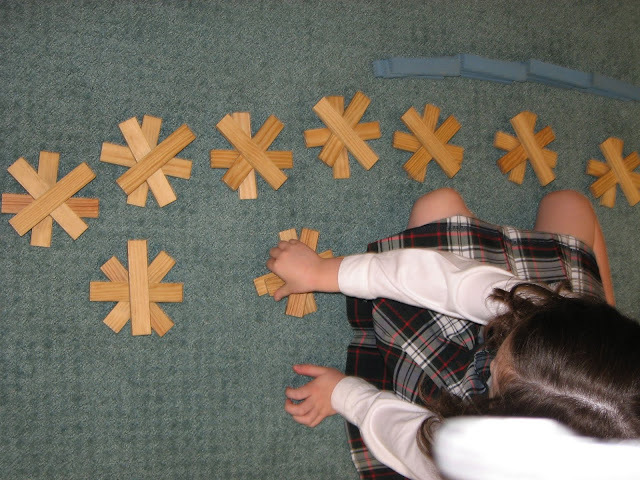 Bugs, bears, GEO boards upside-down, dominoes, 1-10 blocks, pattern rods designed exactly just so by 2 children. Bears, red and yellow counters, rods, and geometric shaped pieces to work together to cover this flannel board! 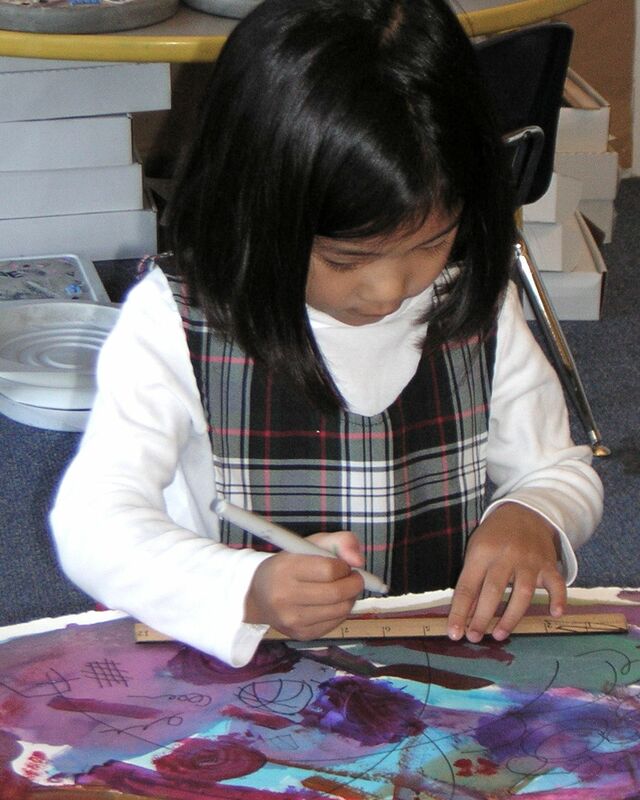 Using a ruler and black pen to make lines over a large water colored art piece. 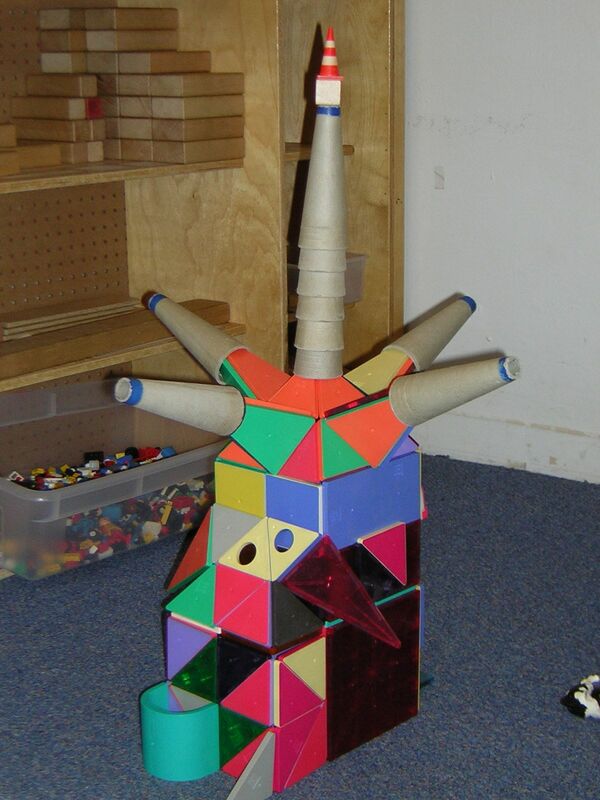 Magna tiles, cardboard tunnels, cube blocks, cones and one traffic orange-white striped cone on top! THINK ABOUT the amazing creations that would not have been created if children needed (needed?) to do things like adults expect traditionally? What kind of learning environment is that? What kind of day is that for the child AND the teacher? I have always wanted to have a joyful, surprising, wonderful day at school...just like children want. Make it happen for the children and for yourself. This block structure is NO ACCIDENT - different sized rectangles and slanted ramp blocks to exactly create this. 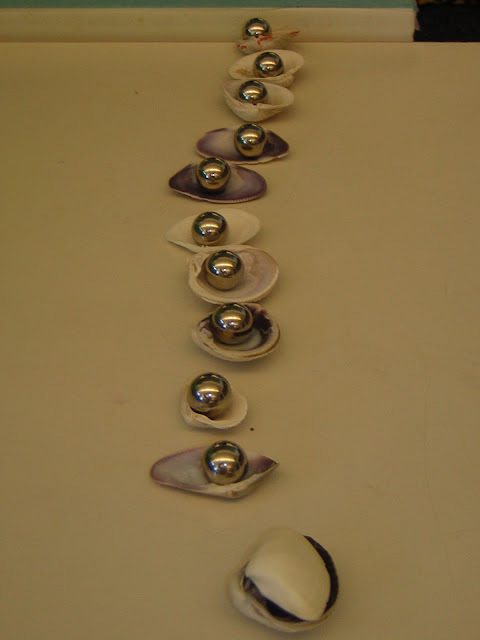 Magnet balls inside of shells lined up in a lovely curvy line with one closed at the end. 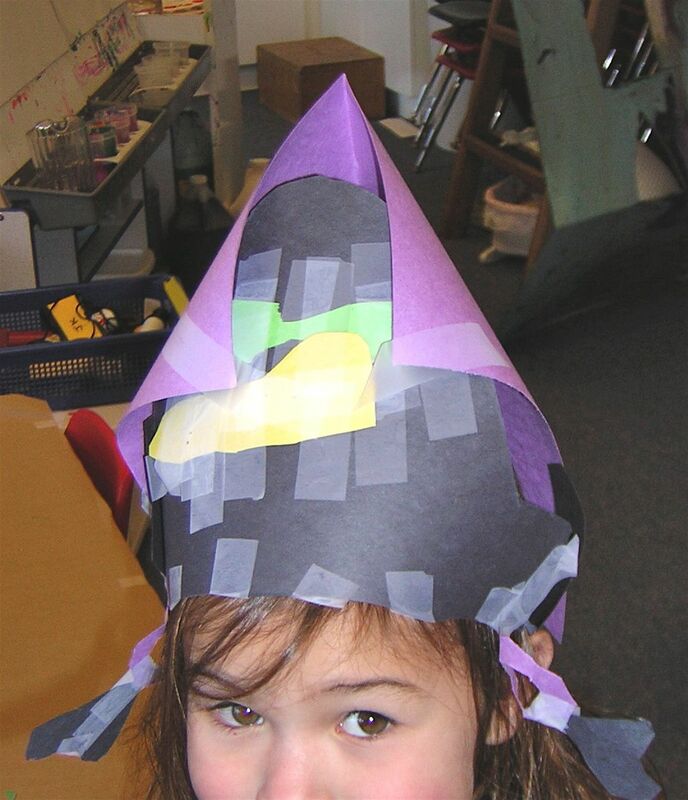 Hat created with tape and specially cut papers, then curved and attached just so, with bits flaring out the side. 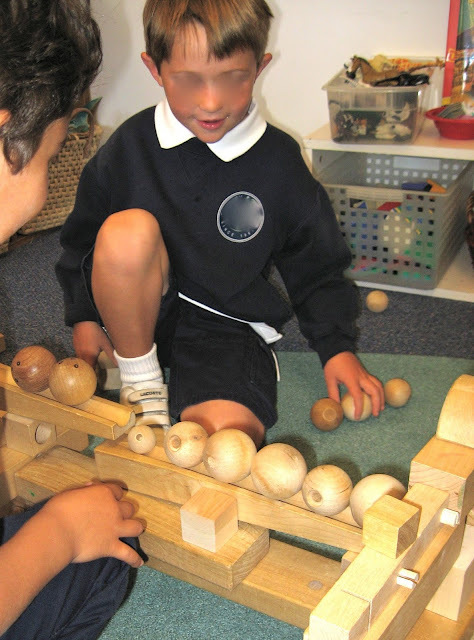 Using their marble ramp design skills to use variety of recycled wood balls to roll simultaneously. Brilliant - just what I need at the end of the school year to keep me going! Jeanne, this post is all kinds of wonderful! You are obviously THAT teacher. Love, love , LOVE it Jeanne .... Now THAT is irresistible! I agree with Scott and Jenny, every child deserves THAT teacher and you are IT! Such is the joy of empowering children to negotiate their own curriculum, Their ideas are valued, listened to and supported. They have free access to sharing their thinking, are provided with assistence when necesaary to help them achieve their goal but the key to the success of this kind of teaching is giving the children the creative control. They lead and we follow helping them to scaffold their ideas. There is just too much fabulousity in this post for words! @Christie - you are too funny :) I appreciate the invention of a new word just for me - FABULOUSITY. It has an excellent ring to it! Agreed!! There is such value in this type of learning - no behavioural issues in this classroom I'm guessing. And some fantastic photos too! @anna and ayn - Thank you for the comments :) Yes, the directive from adults could never be as creative, expressive or deliberate as done by a child in their free exploration. 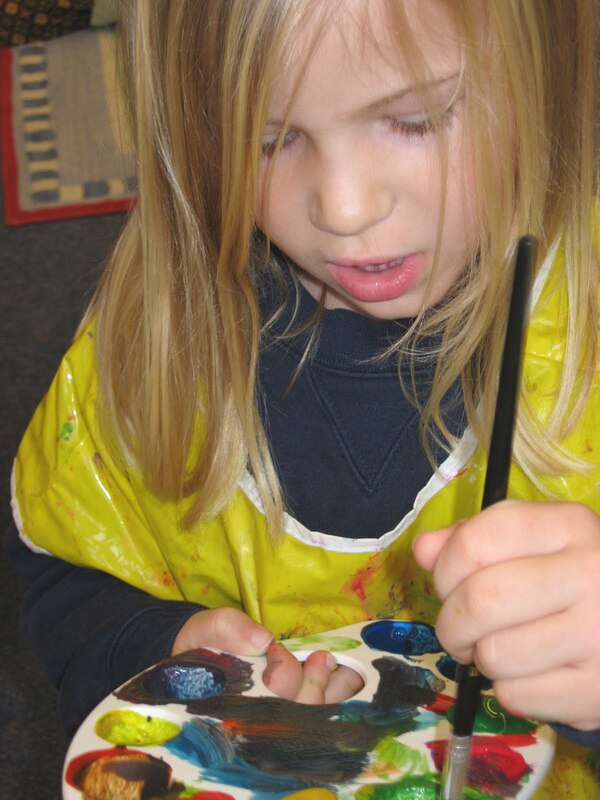 The process and focus of childrens work often takes my breath away. Agreed! Just brilliant, and those pictures are really outstanding. The first one from the top, mixing paints is just so cool! This is beautiful, no wonder it's your favorite post of 2011. I will strive to be that homeschooler ;) Thanks for the inspiration. Your belief in children's potential is helping our world be a better place. Love this! I wish more teachers and caregivers thought like this. I also love the end where you listed essential skills the children are learning as you allow them the space to do this. I think that is where many teachers struggle and why parents tend say things like "but they're just playing." We need to find ways to articulate all that is happening when they "just play." @Alissa and @Shelley - thanks for your support and comments :) Happy New Year! The joy is endless. I love it! I'm not a teacher, just a mum, but that's the way materials are used at our place! Mostly, I think it's great. Sometimes I get irritated that there's play-dough plugging up the holes in my colander again or that I've found another row of sticky tape rolls dangling like bells from the kitchen table, or that another roll of toilet paper has been used to make an Antarctic landscape! But this post has given me fresh appreciation of the work and intention behind the chaos. @Sarah - So lovely and funny :) Experiments and materials always have the clean up or organization side, yet the surprise and freedom to explore is always worth more than the potential "mess". cheers. Ahhh, thanks my dear friend MM :) Can't wait to work with YOU again because you have always had that 'be that teacher' quality since the first day you stepped in the classroom. You are magical.